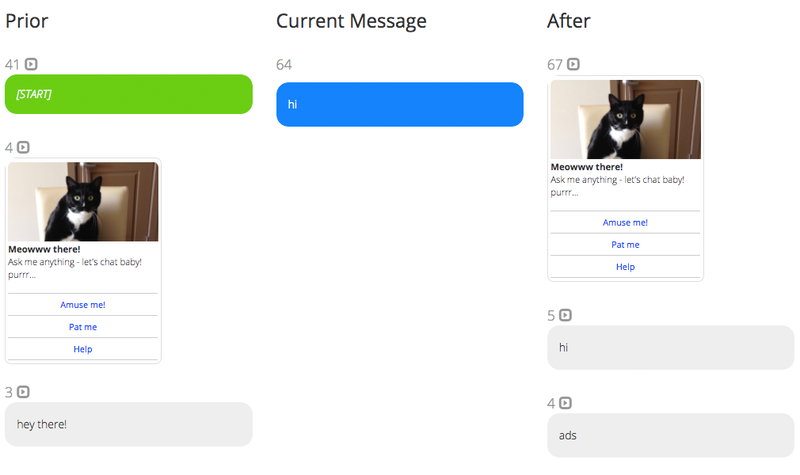 Message and Interaction Funnels enable you to see where your chatbot or skill may be breaking down as well as opportunities for new use cases to support. 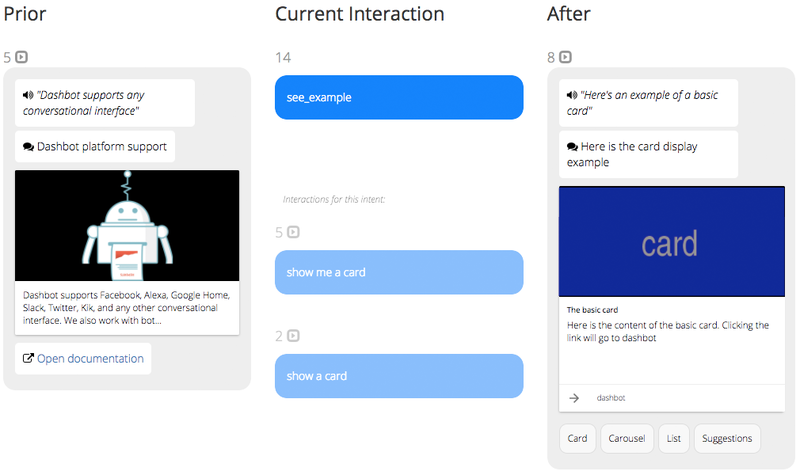 Simply select any message or interaction in or out from your bot or skill and see what happened before and after, and continue to traverse the flows in either direction. How effective are your NLP and Intents? With chatbots and voice skills, users can say or write whatever they want. Our Intent funnels and reports help identify where the Intents may be breaking down or even new user cases you may not have thought of. You can also see the utterances and messages that mapped to the Intents. In addition to top messages, utterances, and intents, we reconstruct all the session transcripts – including live sessions which can be viewed in real time! We support the full richness and multi-modal nature of platforms. 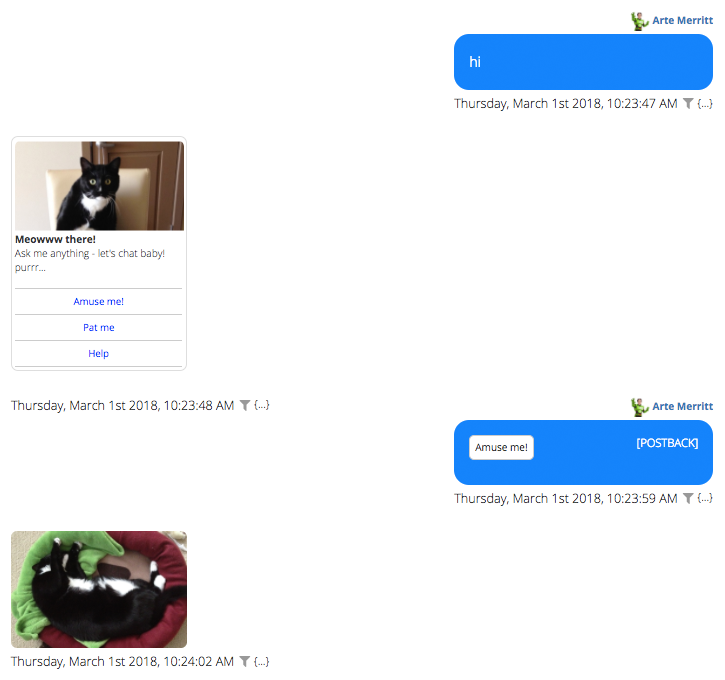 Messages in and out can be rich media: images, animated gifs, audio, video, GPS coordinates, cards, lists, and more. If you want to know what users think of your chat bot or voice skill, they’ll tell you — you can see it right in the transcripts. The example below is from a Facebook chatbot. Dashbot supports the full richness of the platform including cards, buttons, quick replies, images, location maps, audio, video, and more. The example transcript below is from a Google Action. 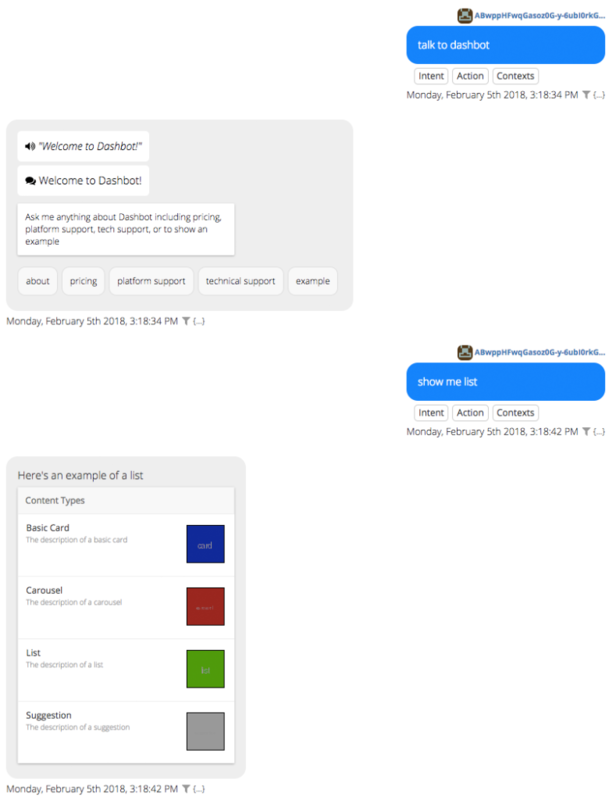 Dashbot supports the multimodal nature of Alexa and Google Assistant. In addition to the utterances, Dashbot shows the underlying Intent, Action, and Context from the NLP for the utterance. 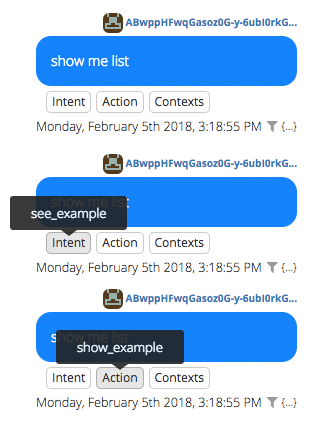 For chatbots and voice skills that make use of NLP, Dashbot shows the underlying Intent, Action, and Context associated with the utterance or message. The sentiment analysis provides insights into the interactions users are having – whether they are positive or negative. Dashbot analyzes sentiment at the individual message/utterance level, transcript level, and time intervals as in the daily report below. 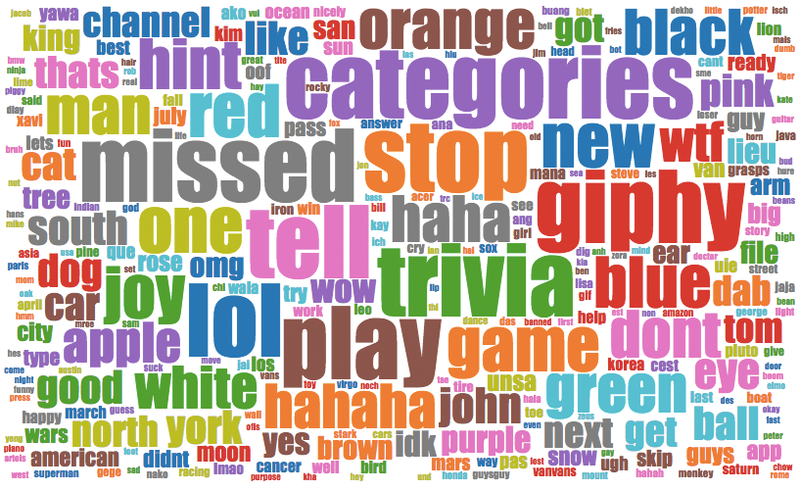 Word clouds help show the most common messages and utterances in your chatbot or voice skill.